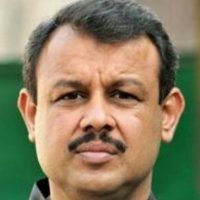 LAHORE: Investigative journalist and television anchorperson Asad Kharal was reportedly attacked and injured by ‘masked men’ near Allama Iqbal International Airport in the wee hours of Wednesday. SP Cantonment Bilal Zafar confirmed the incident to The Express Tribune. “Asad Kharal was allegedly tortured by unidentified men. We have already received a complaint of the incident,” he said. Kharal, who hosts a show on a local news channel, was attacked as soon as he left the airport en route to his home. Some unidentified men intercepted his car, plucked him from the vehicle and tortured him. He was later shifted to the Lahore Services Hospital for medical aid. Kharal confirmed the incident in a tweet on popular micro-blogging site Twitter. Some news reports claim that Kharal, who had been highly critical of the previous government, was attacked allegedly by men affiliated with the former ruling party. But Kharal would not say who could be behind the attack.